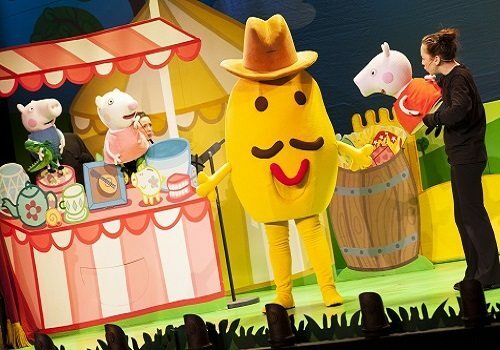 Peppa Pig Live is returning for a sixth consecutive Christmas season in London’s West End. Peppa Pig’s Surprise is a brand new show, due to arrive at the Duke of York’s Theatre on December 18th. Previous Peppa Pig shows have included Peppa Pig’s Party, Peppa Pig’s Treasure Hunt and Peppa Pig’s Big Splash, both of which have been massive hits. Once again we join Peppa on a tale of fun and mischief. Peppa Pig’s Surprise follows Peppa and her friends on a very lovely day. Mummy Pig and Daddy Pig have a special surprise for her and her younger brother George, but no matter how hard they try, they cannot guess what! With fun, interactive games and surprises in this colourful new show, children and families alike can enjoy new songs and life-size puppets. There will also be fun new songs to clap along to! Following the success of previous Peppa Pig Live shows, Peppa Pig’s Surprise promises to be the perfect day out for pre-schoolers and their families. 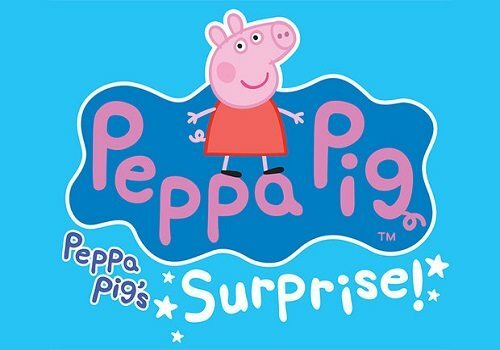 Peppa Pig’s Surprise will play daytime performances at the Duke of York’s Theatre from December 18th to January 17th. With interactive fun, games, songs and surprises, this show is suitable for theatregoers aged three-years-old and over.